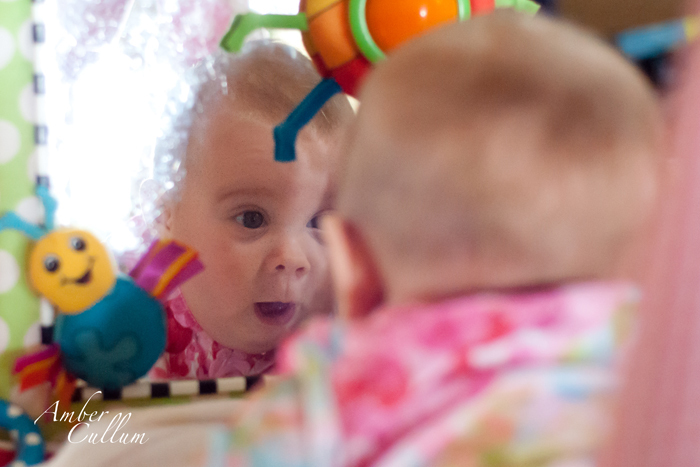 I decided to begin a Project 52 this year with hopes to capture and share more of our everyday life. I also hope to see an improvement in my photography. 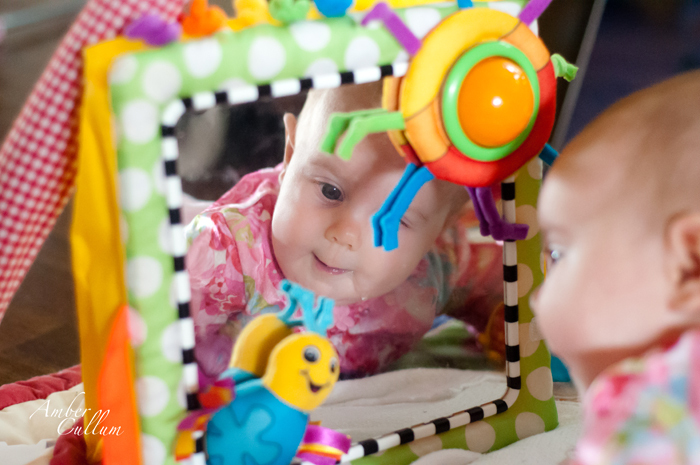 This week I captured Zoe interacting with herself and the bumblebee on her mirror. 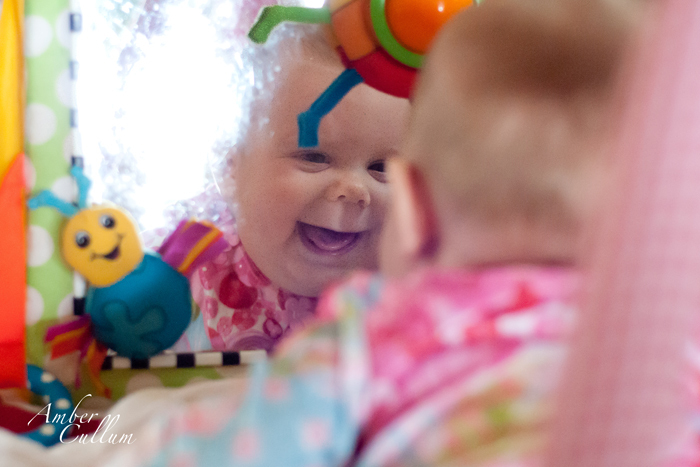 She smiles so big when she first sees herself in the mirror. It is so sweet. 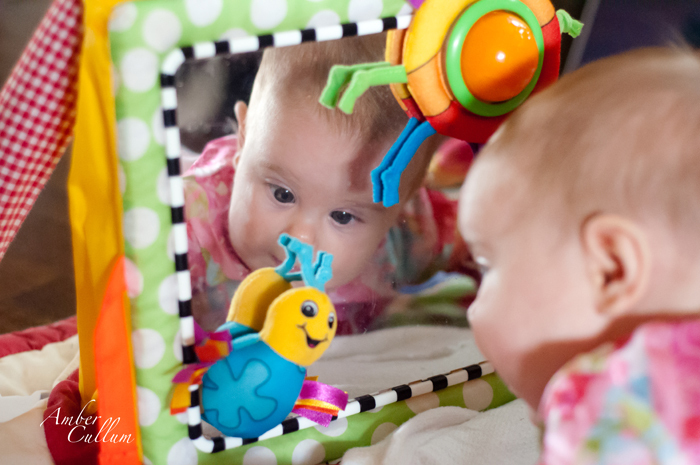 I love that I was able to not only capture her expression, but this photo shows just how dirty the mirror is from handprints and slobber. 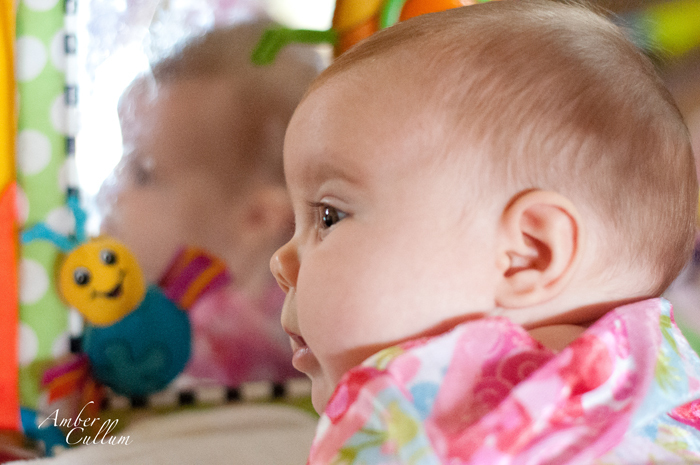 Zoe is 4 months, 1 week in these photos. Very nice close-ups....I love her expressions and the light and focus differences.